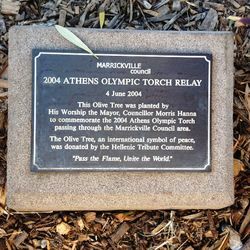 An olive tree commemorates the passing of the 2004 Athens Olympic Torch Relay through the Marrickville Council area in June 2004.
passing through the Marrickville Council area. 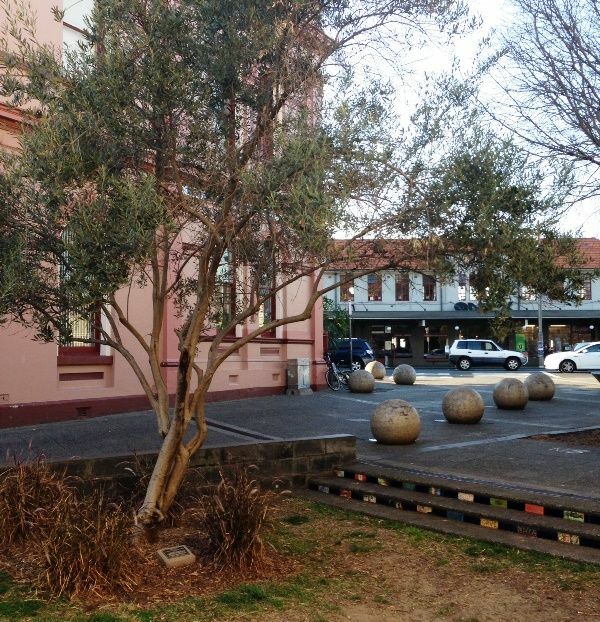 was donated by the Hellenic Tribute Committee. "Pass the Flame, Unite the World."